I really like portable freeware.com and suggest it in free seminars I hold for our community. Thanks! Please let me know if this is appropriate for portable freeware.com or way outside the realm. I discovered a Free Rescue CD iso file that creates a bootable CD or usb drive using Linux that is bootable on almost any Windows PC, if you change the computer setup boot order to first look at the CD or USB. It is from Bitdefender, so it is not open source, but it is free. It even has firefox and many linux tools to repair PC's. It is large: approx 660MB, but downloads fairly quickly over a fast connection. Any iso burn tool works to create the CD, but the 'stickifier' usb creation tool they offer is not reliable. I used the free portable 'Linux Live USB creator' 2.9.4 zip to create the bootable usb and it created a working O/S with bitdefender. Last edited by Midas on Sat May 26, 2018 8:03 am, edited 1 time in total. It's outside the realm. TPFC is only for Windows applications. @Sherman J: Welcome. Great to know this, nonetheless. Similar tools have really saved my bacon more than once in the past. Feel free to chime in with other such pieces of free software. Moving to "Resources & Links" sub-forum. Thank you all for your comments. As a newbie I do want to find appropriate ways to contribute. This site and all who participate is a treasure in the pile of 'stuff' that is the internet. Thanks Sherman and we're glad to have you. The site covers a lot of topics, it's just that the primary database is for Windows free software. There's a fair amount of discussion on tech support and system recovery like the one you mention. They've definitely saved me a few times. Here's another such (Linux based) free rescue CD ISO for malware eradication: Dr.Web LiveDisk. 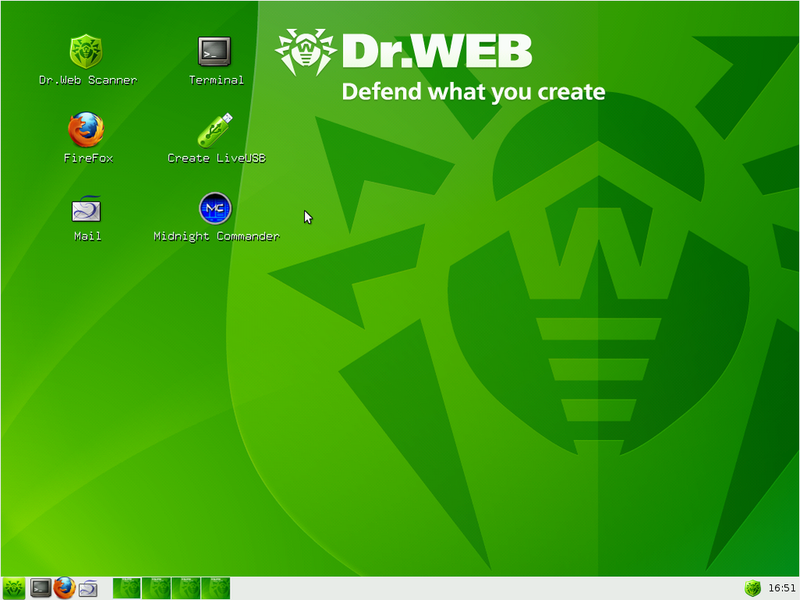 Dr.Web LiveDisk [is a] free emergency system repair from a DVD disk or a bootable USB drive to be used if your Windows system is rendered non-bootable by malware; it will help you to not only clean your system of infected and suspicious files but also copy important information to removable media or another computer; Dr.Web LiveDisk also attempts to cure infected objects.